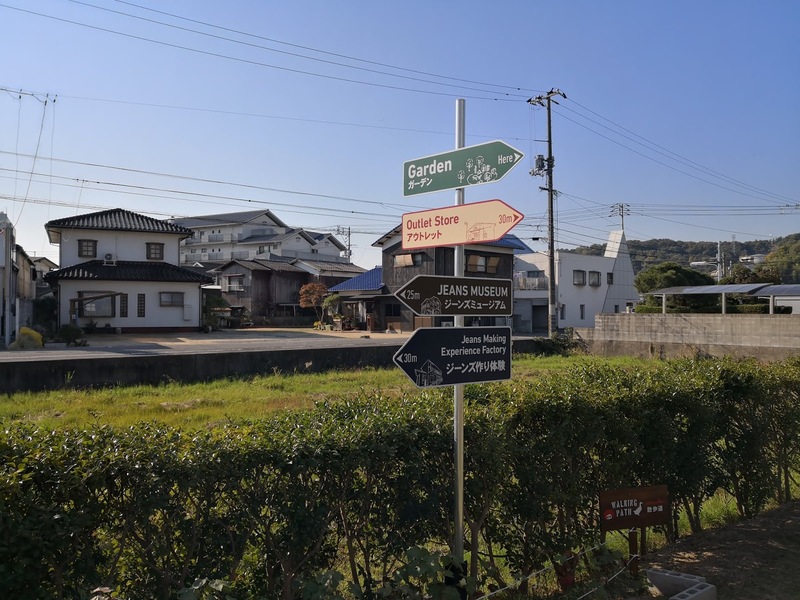 Finally, an old blog draft revisited and ready to be posted after procrastinating since June 2017 when I first visited Okayama and assumed there wasn’t much to do here except I was proven wrong after my recent trip! Never did I expect to fall in love with this prefecture and as expected of Japan each prefecture has its own unique qualities that it’s hard for me to cram everything down into a single blogpost, and I’m seriously considering to write a series for this. All I can say right now is please bring me back to my Okayama trip, had so much fun experiencing all sorts of new things especially when you have like-minded travel companions along (so much craziness & laughter shared lol). 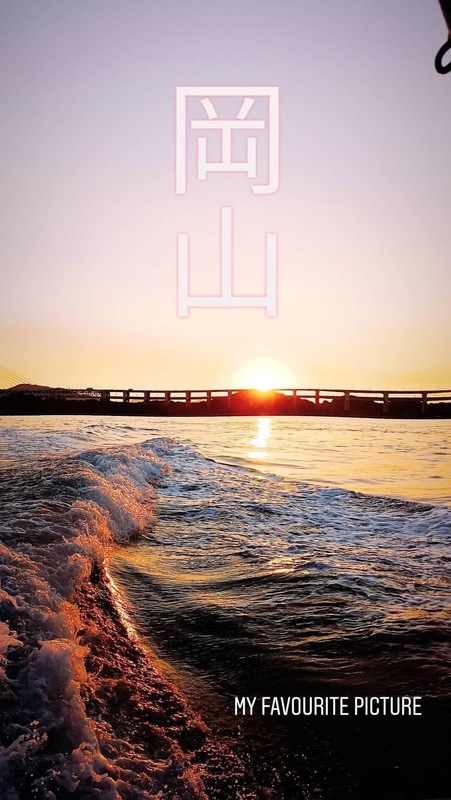 So if you are on a 47 prefecture travel mission like me best to bookmark this post as I share with you guys parts of my Okayama trip and this is just the first of many posts to come lol so brace yourselves because this is gonna be a long post with tons of beautiful photos! I’m still in awe myself because looking back for the past 3 years of traveling to (from Malaysia) & within Japan (staying in Kyoto), I’ve already covered 21 prefectures to date! That’s a real achievement for me as that’s almost 50% off my travel bucket list and I’ve did so without realising haha! If I keep this up, every year at least 4-5 new prefectures think I should reach my goal before I turn 30 :-P Keeping my fingers crossed on this! Many of you guys are frequent readers of my Japan travel posts, so pretty sure by now you have visited Tokyo, Kyoto & Osaka (also Nara) as they are the few main cities tourists would visit on their first trip to Japan (that’s what I did 3 years ago) so this round let me poison you guys with Okayama’s beauty, by the end of this post I do hope to convince you guys to visit this beautiful neighboring prefecture that’s like 1.5 hour away by shinkansen from Kyoto (about an hour from Osaka). 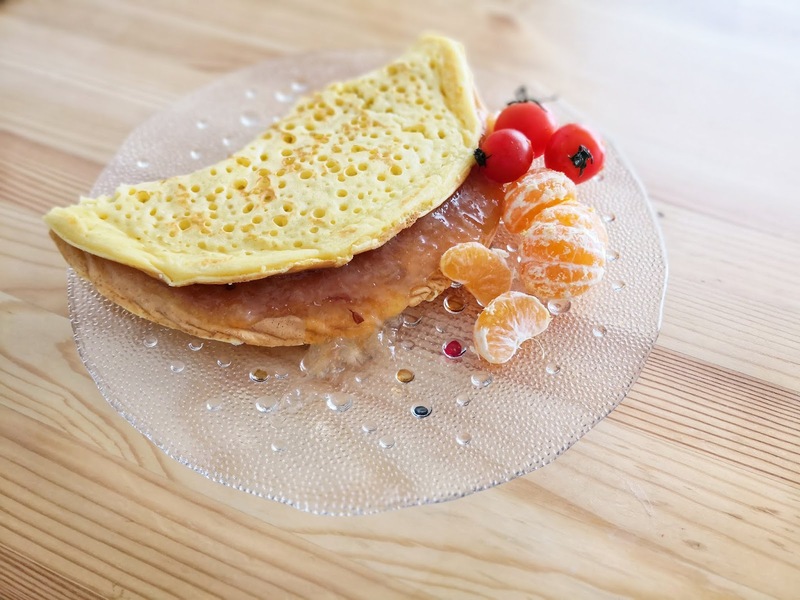 Before I start my sharing here is a little history (or folklore) lesson on Okayama, it’s actually home to one of the most famous childhood story in Japan with the protagonist named Momotaro. Yes his name has the word “peach” in it because he was found in a giant peach (sounds a little like James & the Giant peach eh?) floating down the river sent down from the heavens by a barren couple and thus begins his heroic quest accompanied by talking dog, monkey and pheasant which you’ll see artwork of these 4 characters on most of Okayama’s omiyage packaging. 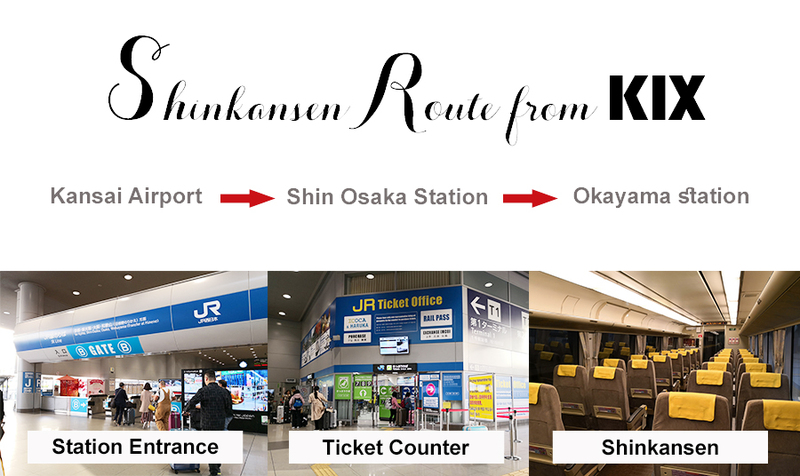 Take the JR Line Shinkansen upon exiting from the international arrival hall, it’s the fastest, hassle free and most recommended mode of transportation to get to Okayama. There is one exchange in between from Shin Osaka station. 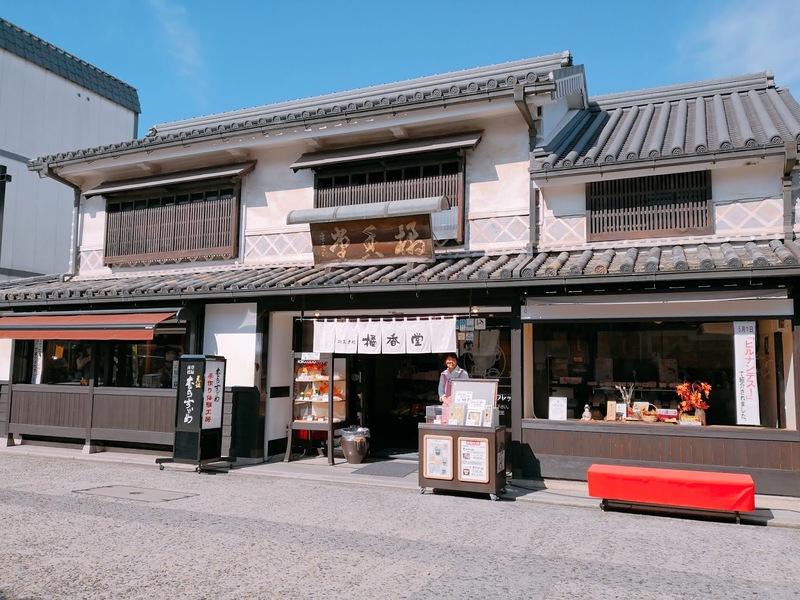 One particular spot in Okayama where you can enjoy tons of artisanal items while being surrounded by traditional style architecture is Kurashiki Bikan Historical Quarter, it is located in the heart of Kurashiki city, less than 20 mins away from Okayama station so you can just hop unto one of the JR trains and hop off at Kurashiki station. There are local buses going around passing by these spots that I’ll be highlighting below. This beautifully historically significant and well preserved canal town from Edo period welcomes tourists to enjoy part of Okayama's past that was harmoniously influenced by Westerners creating a unique atmosphere, super relaxing to walk around aimlessly. There are museums, art & craft centers, cultural properties, gardens, kimono wearing (made from denim!) & shops that will keep you occupied throughout the day. Edit: I just found out that Kurashiki Bikan was also the shooting location for the live action Ruronin Kenshin movie! 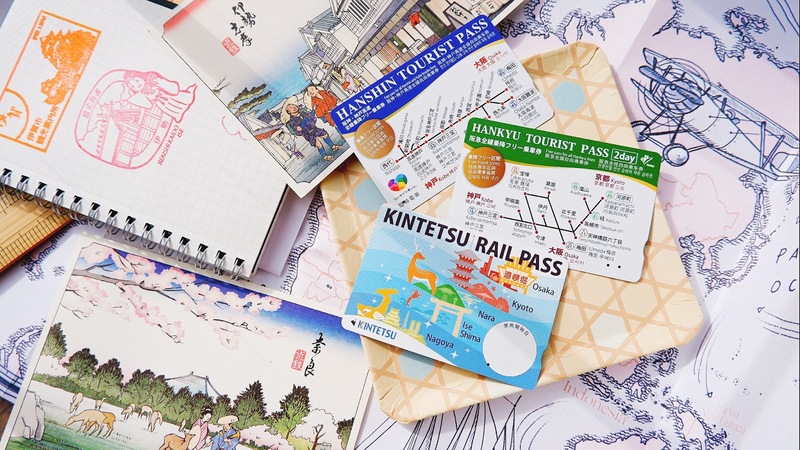 Bet you guys don't know that Okayama is known to be the birth place of Washi tapes commonly used to decorate journaling books, daily planners and many more. If you are into the Hobonichi journaling cult then you would be very familiar with the usage of washi tapes. 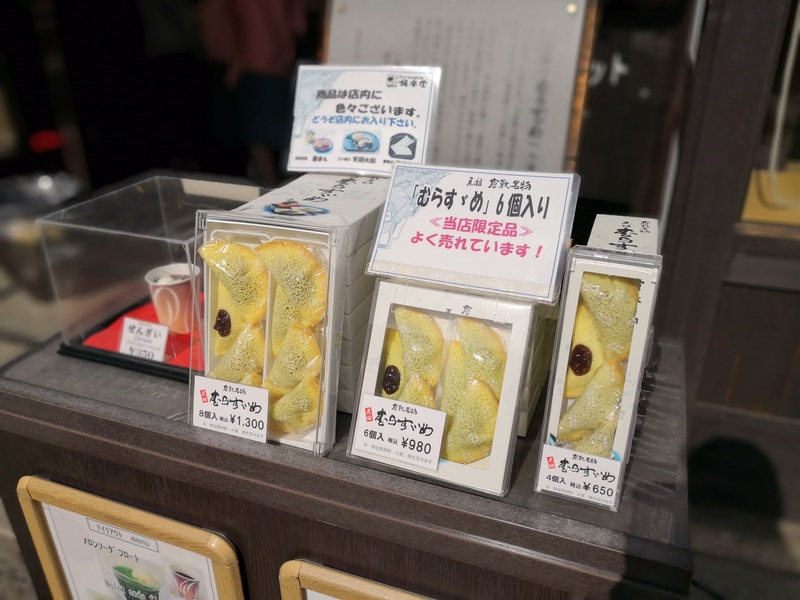 These decorative paper tapes are hand made from plants, comes in all sizes and prices affordably making it an ideal souvenir gift for those visiting Okayama. 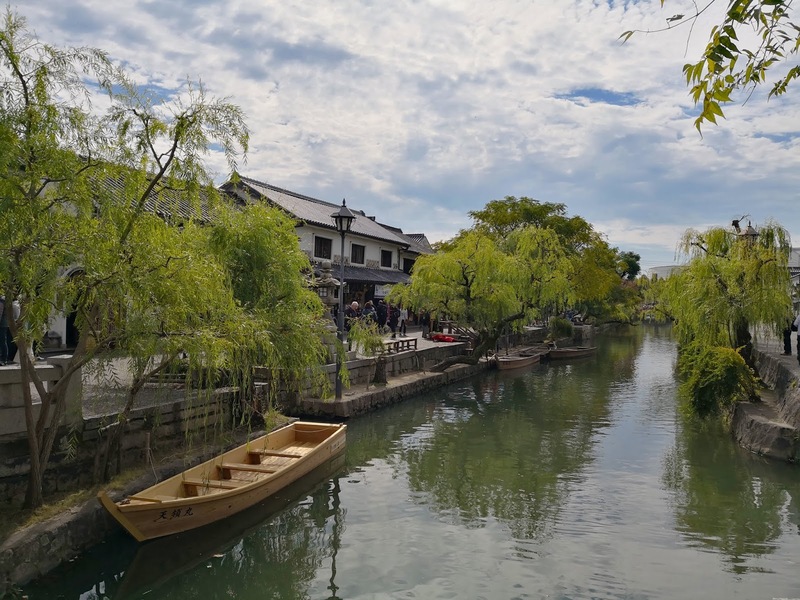 Also while you are there, it's a must to go on a Traditional Boat Tour of Kurashiki Canal! The canal is lined with luscious greenery and it flows through the center of town, looks photogenic all year round. To me best time is always autumn because the weather is perfect (not too hot/ cold) and autumn colored leaves makes a good contrast against the town's white walled Kominka (traditional houses). 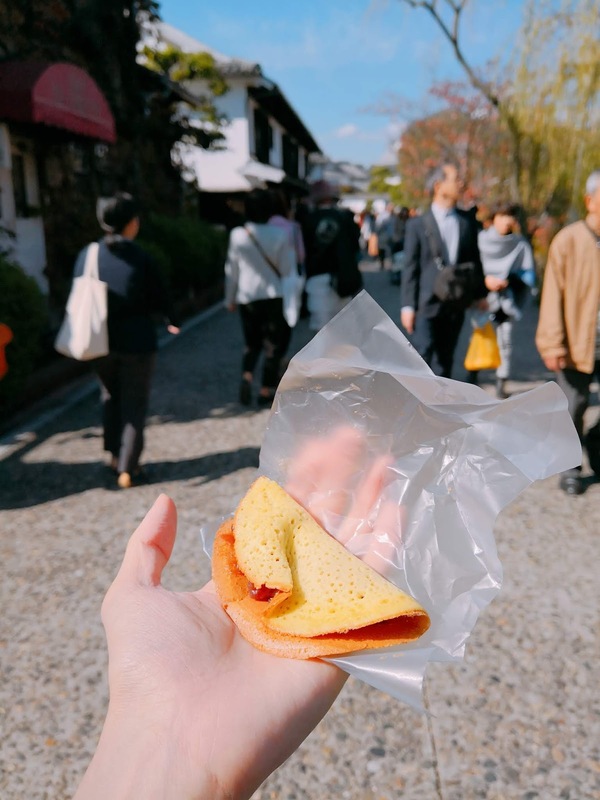 I even learned how to make my own Murasuzume (folded pancake with red bean paste filling in between) a hands on experience exclusively available at Kikkodo store , it's famous traditional confectionery of Kurashiki city! So fun getting to make & eat my own desserts lol, it's really easy as the staff will guide you on how to make it. You'll need to be careful during the flipping part as it requires you to use your bare fingers and for us who aren't used to it would find it super-hot! Went crying out "atsui atsui" a couple of times haha, so embarrassing! After this can go home and make your own Murasuzume like how I did except I changed the filling inside to my homemade Yuzu jam instead of red bean paste lol. Who doesn't like the word "tax free" lol though I am no longer eligible for it as I have a visa here but for those of your traveling here Outlet malls are definitely your best friend when it comes to discounted branded goods all under one roof! If you are from Malaysia, definitely would have heard of Mitsui Outlet as there is one not too far from our KLIA airport (there's even a shuttle bus going there). In Kurashiki, there is also one and it has about 120 shops selling famous local & international brands!! 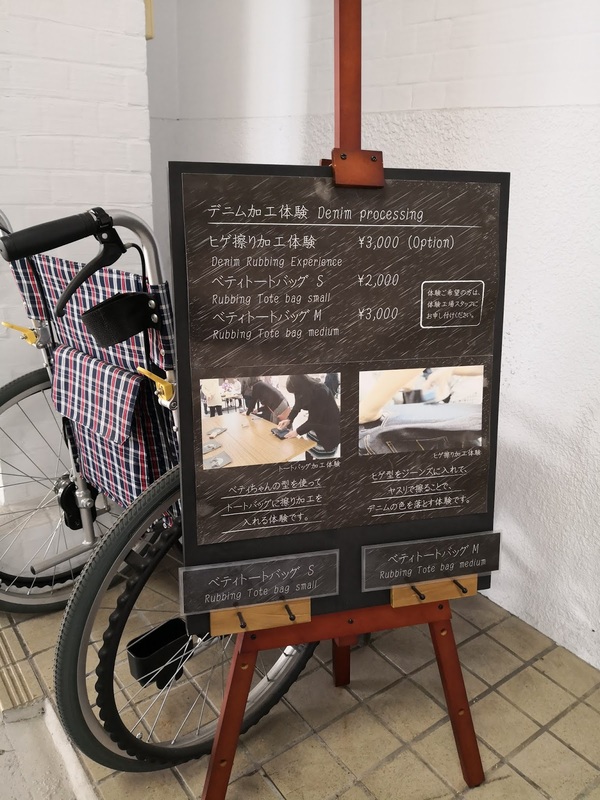 The prices offered here is really attractive that even with tax it's still considered cheap to me 😂 so I don't mind paying that 8%, need to contribute to Japan's economy also lol. And I can assure you that 1 hour here is not enough to cover the whole place, need to allocate at least minimal 3 hours (don't worry got rest areas & eateries also) if you want to visit all shops. I broke my own shopping record by rushing into as many stores as I could to shop within 1 hour and it felt like I was in those timed TV shopping challenges LOL at least i managed to buy myself 2 good quality jackets for less than 5000yen, a real bargain! Next to this Mitsui Outlet is Ario Kurashiki, another shopping complex which is somewhat "connected" as it has a shaded pathway leading to it from Mitsui Outlet. If you want to shop in Ario as well then definitely you’ll end up spending almost the whole day in this location lol. #ArisaTips: I would recommend the leave this “dangerous” shopping hub till the very end of the trip so you won’t spend all your cash so fast (use credit card instead *ahem* lol) and don’t forget to bring an extra foldable duffel bag in your check in luggage just for your shopping items. 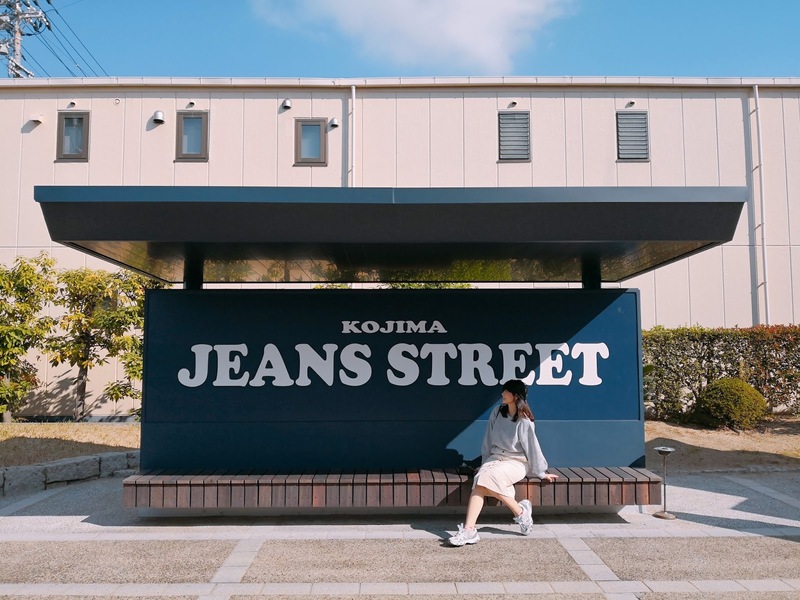 I would seriously dedicate a whole blogpost for this particular district but I'm putting it here as it's considered part of Kurashiki city located near the seaside. 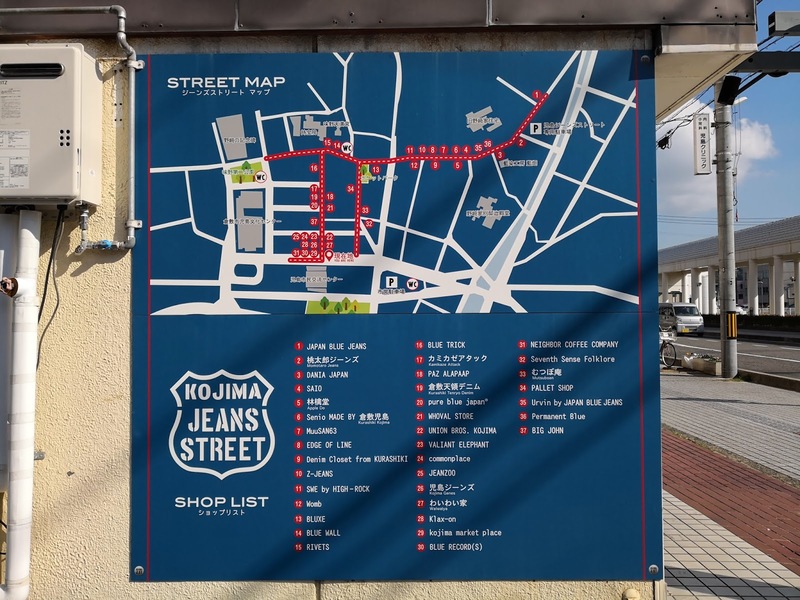 Kojima is dub the "Holy land of Denim" as it’s where Kojima Jeans originated from, really not joking because there are even some street areas painted textured blue making it look like actually denim rather than your average road! This whole area is filled with denim outlets & themed cafes, buildings decked with colourful murals. 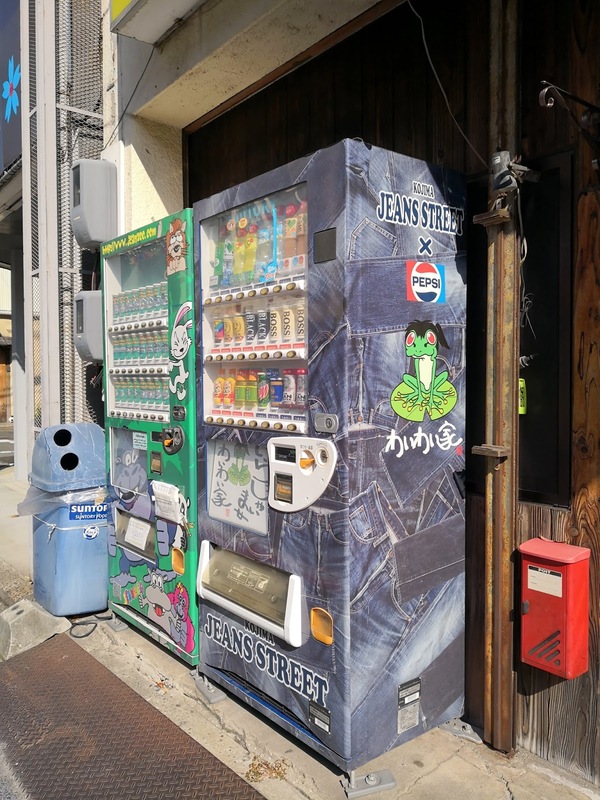 Enjoy some "denim flavored" drinks and snacks while you are there lol. 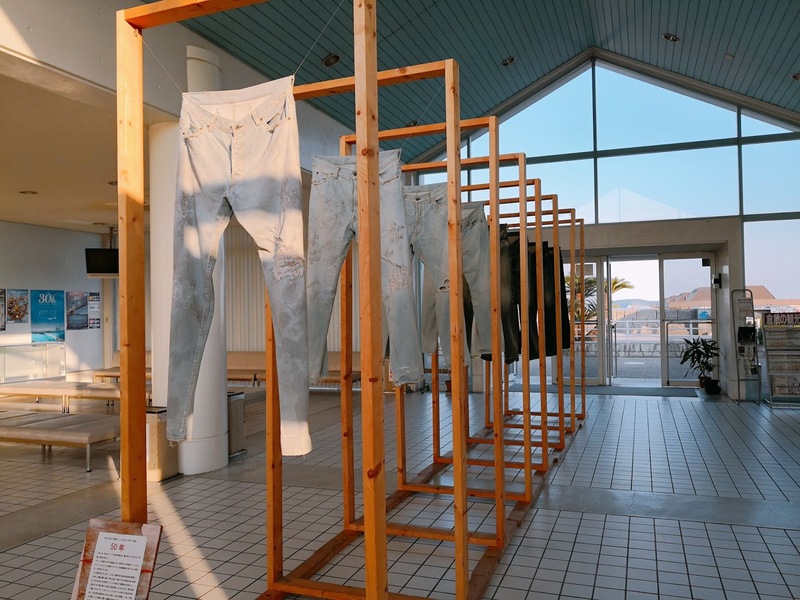 Okayama prefecture actually produces denim supply throughout Japan particularly in Kojima as this textile town has been a major hub of cotton production dating back to Edo period. So despite brand or prefecture your bought your denim piece from the high chances are it's probably sourced from Kojima. Veteran denim brands like Betty Smith, John Bull, Momotaro Jeans are still extremely popular till today, if you are a denim fan alot you wouldn't want to miss this location out. This picturesque street is definitely made for wanderlust travelers looking to capture an Instagram worthy shot. 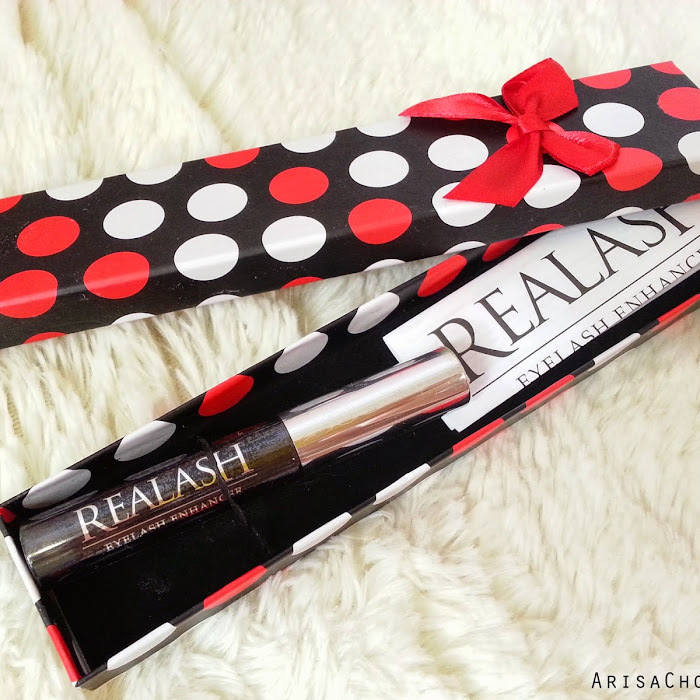 Macam Yes or not? Like those travel Instagrammers lol. A walk through to remember as this place not only shows you the history of denim & the brand's presence in Japan, you can even watch how it's being made at the factory building within its vicinity, shop at their official souvenir stores or factory outlet where you can get some of Betty Smith's merchandise for a fraction of its original cost as it’s considered as “reject/ faulty” units that doesn’t meet their strict standard quality and workmanship (woah!!). It’s okay, one man’s trash & another’s treasure, in this case mine lol. In Betty Smith Jeans Museum (more like mini town), you should join their hands on crafting activities to bring home a USEFUL & UNIQUE souvenir, too bad I didn’t have much time here so I couldn’t sew my own pair of jeans but if you do have half a day to spend here it’s quite worth it and fulfilling to make your very own pair of jeans. For kids there are easier activities like making lanyards which we did. 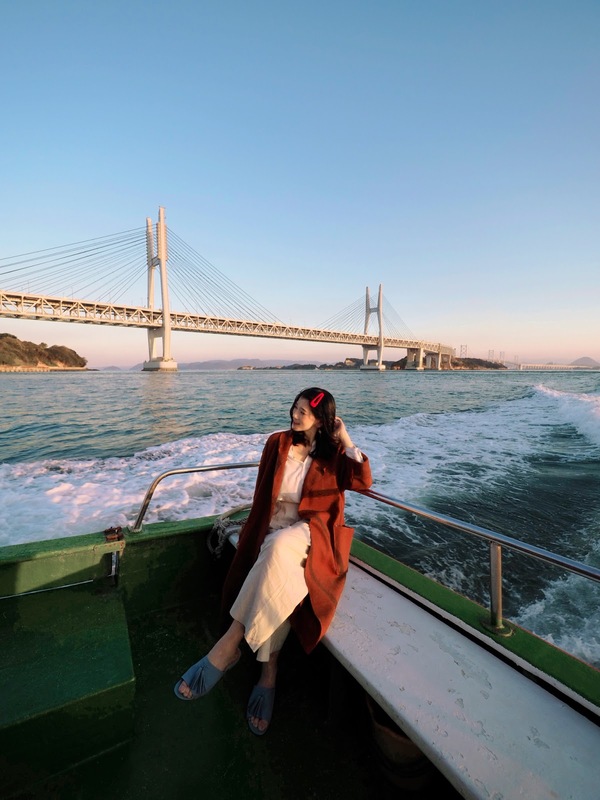 This boat tour is located at Kojima Tourist Port, so you can drop by for later part of the day to catch the beautiful sunset while circling the Great Seto Bridge. I wouldn’t miss this view for anything in the world because it’s really amazing to see this majestic bridge that connects Okayama & Kagawa prefecture while the skies are illuminated in various pastel sunset shades, the whole ride takes about 45 mins and costs 1550 yen for adults/ 780 yen for children but if you are coming in a group (more than 15 people) there are special lower rates offered. A lucky shot from my phone camera! 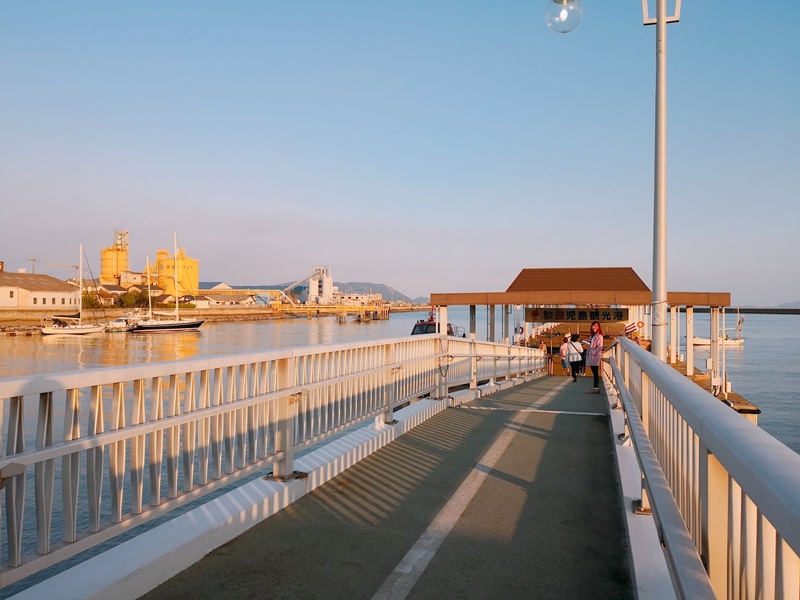 The port leading to our boat ride, the skies in Japan are always so beautiful!! More info can be found on their official site: https://www.kurashiki-tabi.jp/see/220/ (there’s English translation on the top of the site). That's all for my first update on Okayama prefecture, next I'll be covering various hot spring locations in Okayama (also super photogenic spots! ), if you love soaking & relaxing in natural hot springs (also soaking up the health benefits) like me then you wouldn't want to miss this out! Make sure to subscribe to my blog to be the first to get notified once it's up. 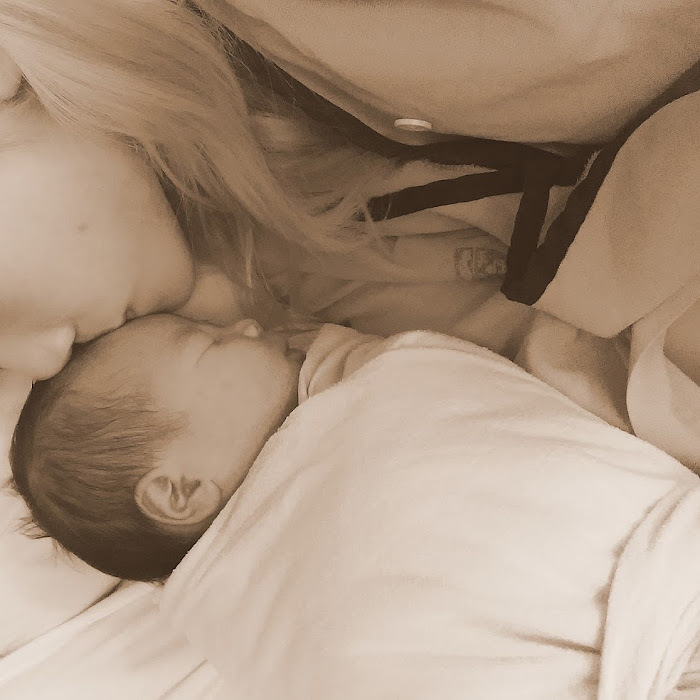 So pumped up to share as much as i can about this prefecture while it's still fresh in my memory haha, but unfortunately my baby needs my attention most of the time. But i'll try best, wish me luck and feel free to ask me questions or just leave any comment down below and i'll reply ASAP (or few days later lol) !